Father Chuck began his ministry as our rector in September 2004. He is a native Floridian, having grown up in Central Florida, and is a life long Episcopalian. He holds a BS in Social and Behavioral Sciences — Criminal Justice, and a minor in Broadcast News from the University of South Florida, Tampa; and a Masters from Trinity School for Ministry in Ambridge, PA. Fr. Chuck has held positions as a reporter at WFLA-TV, Channel 8 in Tampa, and spent 18 years in Human Resources – Occupational Safety and Health at Lockheed Martin in Orlando. After his call to full-time ministry and ordination, Fr. 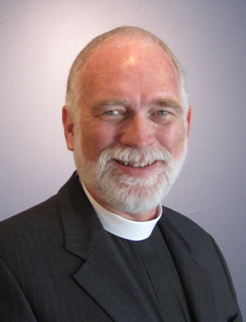 Chuck was the Associate Rector at St. John’s Episcopal Church in Naples before his call to be the rector of Nativity. Fr. Chuck and his wife, Debbie, have been married since 1977 and have 4 grown children and 4 grandchildren. Deacon Ros is a native Floridian and member of Church of the Nativity since 1986. Deacon Ros grew up in Tampa where she attended Catholic schools and transferred into the Episcopal Church in 1978. She is a 1981 graduate of LSU Medical Center as a Radiologic Technologist – a position she now holds at Intercoastal Medical Group in Sarasota as a mammographer. 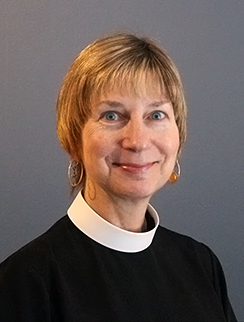 In 2015 Ros was ordained a parochial deacon after completing her studies through the Episcopal Diocese of SW Florida. As a deacon at Church of the Nativity Ros assists in pastoral care duties of the parish, assisting in weekly services and other duties as our Lord directs. Deacon Ros is married to Dennis Hall. Ros also has a daughter, Rachel and son-in-law Daniel who reside in NC. Karla has served as the music director of Church of the Nativity for more than 20 years. Karla’s ministry includes planning and selecting worship music, organist, keyboard, directs the choir and seasonal hand chime choir. In addition, the scope of the music program has broadened over the years to include training and scheduling volunteers for the audio-visual team as well as spearheading the establishment of the Music Fund to engage guest musicians to enhance Nativity’s worship. Karla also plans and presents the concerts for Nativity’s annual community outreach event – The Flower Festival.